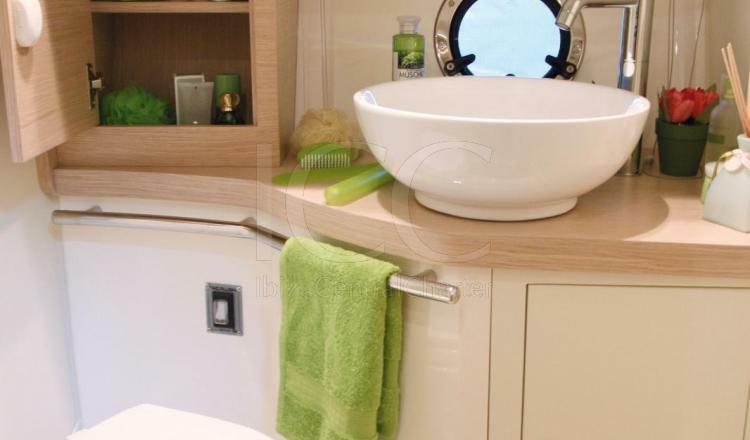 Capelli Cap 32 WA maintains quality and comfort espirit which characterizes the his shipyard, but its also recognized for being one of the most appreciated boats on the market. 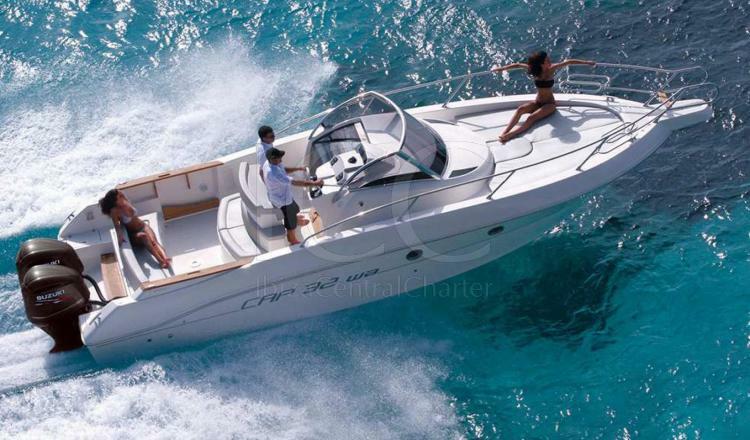 Capelli Cap 32 WA was introduced in 2007 and from that moment it has been a very prestigious and appreciated boat in the nautical market. 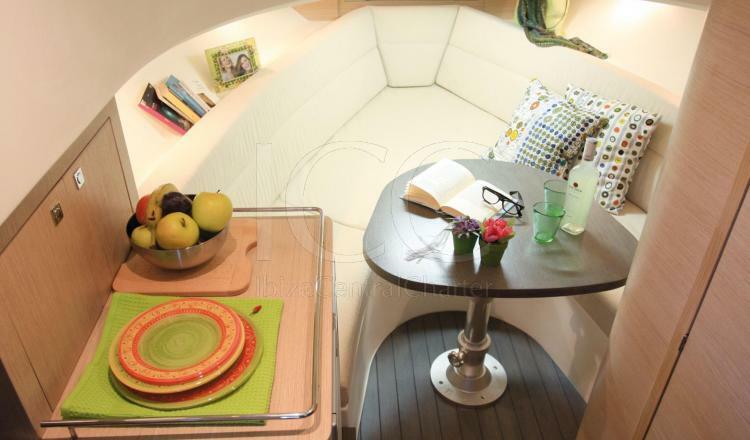 The exterior design shows a new conception of style, which maintains the values of the shipyard; quality and comfort. 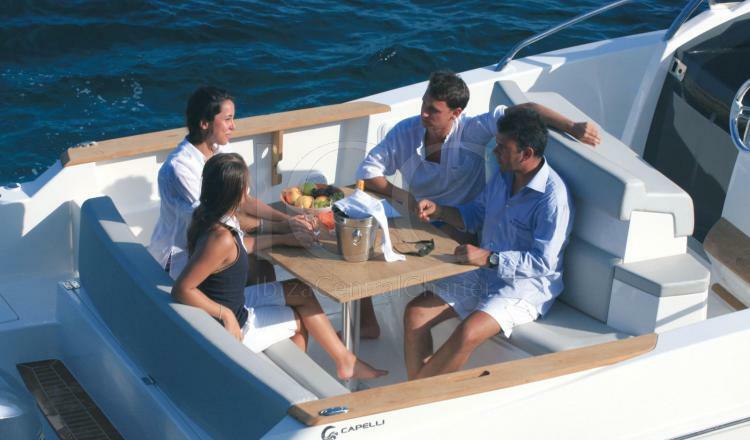 The motor boat has a stern cockpit with sofas and table, this space can be turn into your private restaurant in any nooks of the island. Moreover, there is a comfortable bow solarium where you can relax and admire the views that Ibiza has to offer. 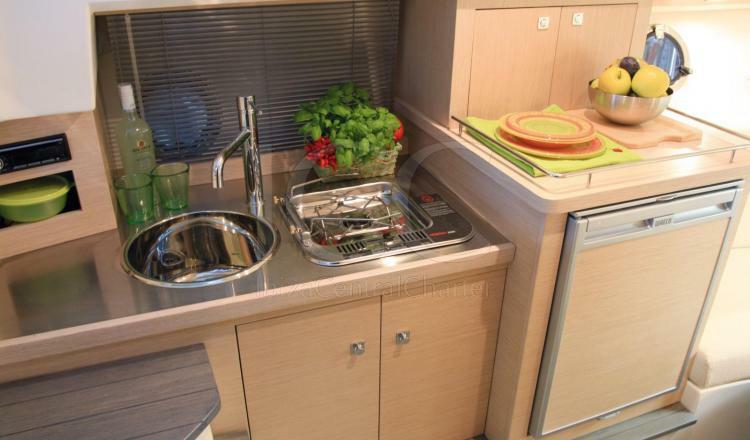 Finally on the ground floor, the Capelli Cap 32 WA has a living/dining room and a kitchen. 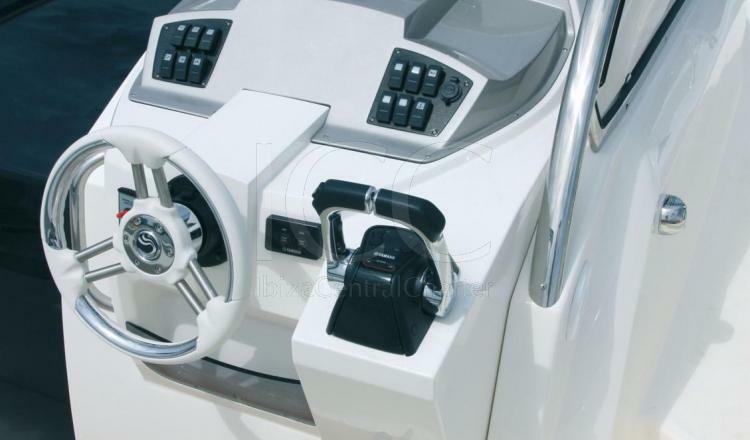 All of this characteristics become the motor boat in a really atractive option to sailing around Ibiza. Low Season: rest of the year. Price 50% Medium Season (subject to availability). Remarks: Check-in at 10:00am and check-out at 20:00pm.